In 2018, the average amount spent by a vacationing traveler was approximately $3,900 in the United States, reports the Destination Analysts. As the vacation cost increases annually, saving money becomes challenging. Travelers, however, can work and make money during their tours and be able to recoup some of the used funds. Many people and families are devising ways of reducing their traveling costs while making money in return. 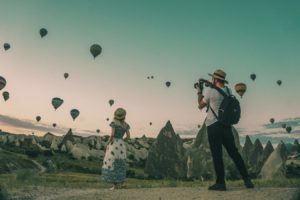 You’ve planned a lengthy trip in advance, detailed your itinerary and got yourself the right traveling gear for your trip adventures, but the truth is: you’ll spend quite a lot of money covering all the basics for an extended period of time. Earning some extra cash on the side can be a life saver. For instance, getting a temporary job in a hotel, bar or restaurant is a good way for you to earn money during your vacation, especially in a busy area where there are many tourists. Do check if your visa allows you to work while on holiday before getting a job. Hostels and bars offer plenty of opportunities for travelers and a few of them do pay in cash. The pay may be little, but they compensate you by providing free accommodation and meals. You could also work as a tour guide, provided you’re familiar with the location. Many touring companies which operate on a budget need tour escorts to help them in sorting out the tour groups and organize activities. You can earn money while you’re away by renting out your apartment or house. Short-term travelers require affordable rent charges during their stay, and with the rates of hotels being high, several homeowners are taking advantage of this by enlisting their homes to vacation rental websites like AirBnb to earn extra income. Before you start earning, first confirm with the landlord if you’re allowed to sublet the house. Upon approval, in your absence, make arrangements with a reliable family member or friend who will receive the visitors and take care of their needs during their stay. If you can, do consider renting your house to earn that additional cash. Many online websites can help you get all kinds of freelance work. From working as a bookkeeper, virtual assistant, transcribing, web design to writing among others, you could earn extra money to sustain yourself during the trip. You can also make money from tutoring student’s foreign languages like English, mathematics, conduct music lessons and other subjects you’re good at. To increase your chances of getting the jobs, make connections on social media platforms with potential employers and the local expatriates at the destination you’re visiting. If you love taking videos and photographs during your trips, corporation brands, tour agencies, magazine publishers and media outlets can be potential clients of your collection. Ensure that you acquire an excellent digital camera for taking quality pictures and videos. Consider setting up a blog where you can showcase the photos and videos to potential clients, and copyright them from pirating. Besides, you can also sell inexpensive and unique products you purchase during your vacations like artwork and cultural artifacts, either online on sites like eBay or back home when you return. You can travel and work at the same time. Not only will you enjoy great experiences traveling to dream destinations but you’ll also make money throughout the vacation. Working while traveling recovers some of the money spent on the trip and protects your savings.